At The Green Law Firm in Charleston SC, our car accident lawyers know more than the statistics – we know the law. We know that a person who negligently operates a motor vehicle may be liable for the damages – physical, economical and sometimes even punitive – that result from their actions. There are several types of car accidents, call us now to find out more. For years, the automobile accident attorneys at The Green Law Firm have built a reputation, and a track record, for helping clients obtain the compensation they deserve, both through verdicts in a courtroom and settlements at the negotiation table. When asking “Where is a car accident lawyer near me?”, consider The Green Law Firm. Why Do I Need a Car Accident Lawyer? After suffering injuries in a motor vehicle accident, you should consider obtaining an injury lawyer. Many accident victims make the mistake of settling with insurance companies or thinking they do not stand a chance in court. You should at least have your case reviewed before you make any decisions. A free case evaluation comes at no risk to you. Hiring an experienced car accident attorney can make all the difference. We will look out for your best interests, whether in negotiations with insurance companies or in courtroom litigation. Insurance companies, are really only looking out for their own bottom lines rather than the victim’s well-being. Our Team is ready to review your case. If you are unsure if hiring an attorney is necessary, or even if you think we can’t take on your type of case, get in touch to find out. We are glad to assist you in any way that we are able to. You can send us information about your case using the case evaluation form on this page. You can also take part in a live chat session right now! All consultations are free, no matter which method you choose. With the use of cellphones and smartphones on a daily basis, people are constantly distracted with these devices instead of focusing on driving. Driving is something that requires complete attention. Just looking away for a split second to glance down at your phone could turn into a serious accident. If you have been in a car accident, we will investigate whether the other driver was distracted by a cell phone or some other cause. We thoroughly investigate each case to see if this was a contributing factor to the accident. In your search for the best car accident lawyer in Charleston South Carolina, keep us in mind. Drunk driving auto wrecks are far too common, and they often result in severe injuries and death. In fact, according to the SCDPS, one person dies in our state due to a drunk driving car accident every day. Although nothing can make up for the pain and suffering that come with these accidents, you can regain some control over the situation by taking action against the person responsible. If a drunk driver has caused harm to you or someone you care about, find Charleston car accident lawyer that is experienced dealing with these types of cases. Attorney Bill Green can analyze the situation, tell you whether you have a valid case or not and help you take the next step. 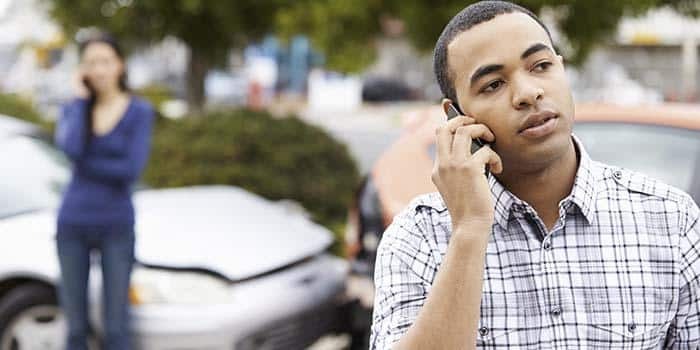 If your attorney determines that the other driver was at fault for your accident, he will help you get the settlement amount you need to cover your medical bills and lost wages, as well as to compensate you for the mental and physical anguish you’ve experienced because of the car wreck. Driving under the influence is against the law, and perpetrators should be held responsible. Don’t hesitate. Call Attorney Bill Green today to learn more about your legal options. Tailgating When someone tailgates another vehicle, many times they do not have the time to stop if the car ahead of them has to suddenly hit their brakes. Head On Collisions When a driver is distracted by texting, talking on the phone, or just not paying attention, it’s easy for them to cross over into oncoming traffic. Road Rage On busy highways, sometimes drivers can allow their emotions to take over and drive aggressively, causing car accidents. Manufacturer Defect When auto manufacturers have a defect in a vehicle, it can cause accidents. Falling Asleep at the Wheel / Drowsy Driving When someone drives when overly tired, they can drift off, allowing the vehicle to plow into oncoming traffic. Driving Under the Influence Drinking and Driving is against the law, and when someone does this, the chances of a car accident go up greatly. T-Bone Accidents Generally caused by another driver running a red light or stop sign, they run into the side of another vehicle. While every case is different, Attorney Bill Green and his team can assist you in determining whether you can recover damages from the car accident. Consult with a knowledgeable lawyer after your accident. You are not going to pay until we win your case. Fill in the form below and one of our representatives will get back soon. We will help fight for you! Act fast and get help here! Speak with us right away! We'll help you through it! ALTERNATE NUMBERS: (843) 936-8053 & (803) 500-4018. SERVICES MAY BE PERFORMED BY OTHER ATTORNEYS.